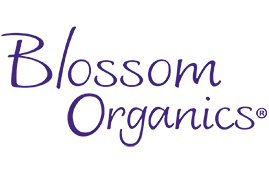 Natural Moisturizing Lubricant | Blossom Organics, Inc.
Let sensuality blossom into pleasure. Our female lubricant has been expertly formulated as the naturally pure choice for women seeking a heightened sense of intimacy. pH balanced to mimic a woman’s natural chemistry and free of harsh ingredients, this silky smooth water-based lubricant is safe, non-irritating and provides moisture for enhanced pleasure and to relieve vaginal dryness. Apply a desired amount of personal lubricant to your intimate areas. Reapply as needed. Compatible with natural rubber latex and polyisoprene condoms. Gentle enough for daily use to relieve vaginal dryness. Organic aloe barbadensis leaf extract, sorbitol, hydroxyethylcellulose, allantoin, lactic acid, tocopherol (vitamin E), potassium sorbate, organic stevia rebaudiana extract, hyaluronic acid, organic paeonia albiflora (peony) root extract, organic passiflora incarnate flower extract.